The members of a five-member body, formed by the Home Ministry, on Friday visited the spot of the deadly fire that broke out in Chawkbazar area of Old Dhaka on Wednesday night. “We will unveil the reason behind the fire and that is why we visited the spot today,” committee convener and additional secretary of the Home Ministry Pradeep Ranjan Chakrabartee told reporters during their visit to the spot. Noting that they exchanged views with locals, he said they will now start probe into identifying the reasons and sources of the fire. Pradeep said the first work of the probe body is to identify the reasons behind the fire and then give recommendations so that the government can formulate work plan to avoid such incidents in future. Earlier on the day, the members of a probe body constituted by Dhaka South City Corporation (DSCC) also visited the spot. 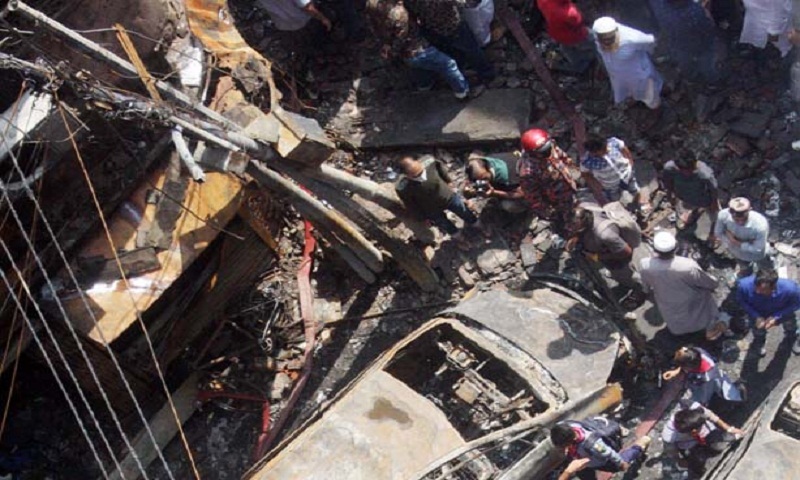 On Friday, two separate cases were filed in connection with the deadly fire broke out in Chawkbazar area that left 78 people dead.